Recently, Semantic Annotations for WSDL (SAWSDL) standard emerged as a W3C recommendation to add semantics to WSDL components. SAWSDL annotates WSDL components with different semantics in order to automate Web service tasks, such as service discovery, composition, mediation, and invocation. In fact, certain service task requires a specific service semantic that semantically describes the service. As a result, several tools and techniques have emerged to allow users to get maximum advantage of semantic Web service by implementing SAWSDL. This paper analyzes SAWSDL standard. The relationships between SAWSDL and WSDL components were revealed. The direct relationships between SAWSDL components and service tasks through service semantics were investigated and reported. This paper also reviews some well-known tools that are used for SAWSDL implementation. Web is an open and distributing environment that provides an ideal setting for enterprises to distribute their systems and exchange their information (Akkiraju & Sapkota, 2007). 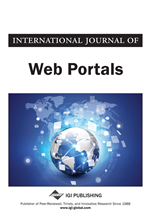 Web services are becoming the main components for the Web, which add a new level of functionality to the Web (Kopecký et al., 2007). Currently, Web services are considered as very important elements to create distributed systems on the Web (Boissel-Dallier, Lorré, & Benaben, 2009; Kopecký et al., 2007), and they are designed to be self-contained and self-described (Breslin, O'Sullivan, Passant, & Vasiliu, 2010). Thus, Web services are accessible through the URL from the Web or enterprise's intranet. In fact, Web service has an interface to describe Web service. There are standard languages to describe Web service interface such as Web Ontology Language for Services (OWL-S) (Martin et al., 2004) and Web Service Description Language (WSDL) (Chinnici, Moreau, Ryman, & Weerawarana, 2007). In this context, we are taking into the consideration only WSDL rather than any other Web service description language, because SAWSDL is mainly for annotating WSDL components and XML. WSDL language is a standard description language to describe Web service interface based on XML language (Cömert, Uluta, Akıncı, & Kara, 2010). WSDL specify the functionality and messages of service at syntactic level only (Guo & Sun, 2010; Larvet, Christophe, & Pastor, 2008), which means that WSDL is far from supporting the semantic of Web service messages. Specifying the functionality and messages of service at semantic level is very important to automate services tasks. Thus, considerable effort was expended to support the description of Web service at both syntactic and semantic levels. Semantic Web service is a result of combining two Web technologies; semantic Web and Web service, in order to increase automation and business execution in a digital environment (Breslin et al., 2010). Semantic Web is concerned with the semantic of the Web contents (e.g., Web pages, Web information) by transferring the Web into a repository of computer readable (machine-readable) data (Charif & Sabouret, 2006), in order to help the computer to understand the meaning and the context of the Web contents. The foundation of building semantic Web is logic and knowledge representations (Kopecký et al., 2007). The goal of semantic Web is to make Web resources machine-readable resource to be understood by the computer. This can be done by annotating Web resource with semantic annotation (Jia-Xian, Wei-Hua, & Ji-Gui, 2010) with reference to the concepts of semantic model (ontology). However, ontology is regarded as the backbone of the semantic Web (Fensel, 2007), because it has the ability to interweave human and machine understanding (Fensel, 2003). Ontology is a collection of concepts and the relationships among them (Li, Madnick, Zhu, & Fan, 2009). The design of the ontology is based on the logical theory or set of axioms (Guarino, 1998) to express the meaning of a vocabulary and semantic in a formal manner (Bountouri, Papatheodorou, Soulikias, & Stratis, 2009). Furthermore, ontology can be thought of as knowledge management on a global scale (Fensel, 2007).